"Here at Cantigny on May 28, 1918, the American forces won their first victory in the World War." 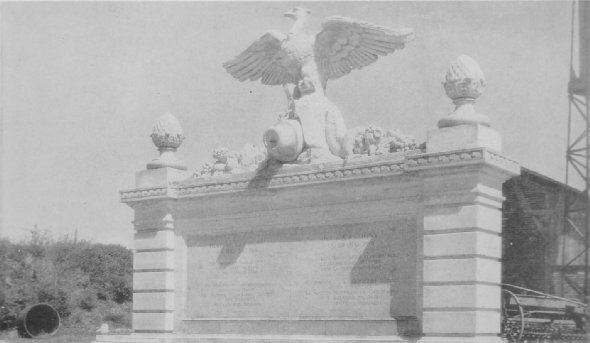 Inscription on monument commemorating the heroic achievement of the 1st Division, which here started the great American offensive. 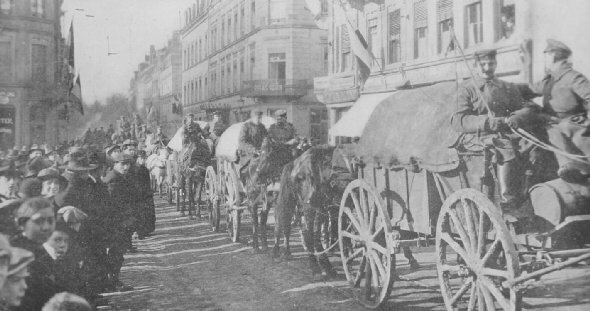 An official U. S. photographer, traveling in the vanguard of the American Army of Occupation, arrived in the capital of the Grand Duchy of Luxembourg in time to take this pictureshowing the defeated German army homeward bound.